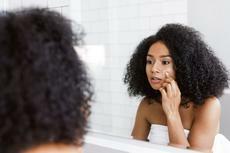 You might only worry about your eyes, hair and skin before a big date or picture day, but these physical features are much more than surface-level. These parts of your body can also communicate clues about your well-being. Seemingly slight issues like dull hair or cracked lips can actually be indicators of diseases, problems or imbalances in your body. Issues with your brain, heart, lungs and more can manifest in your eyes, hair and skin in ways that appear totally unrelated. Here are 20 symptoms, changes or patterns in your eyes, hair and skin that you need to be on the lookout for. Click here for 20 things your eyes, hair and skin reveal about your overall health.